Show it comes from the heart with this anatomically correct heart charm necklace. 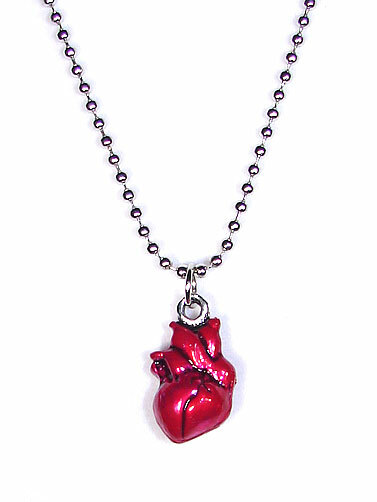 Metal human heart charm has been enameled in red and hangs from a steel ball chain. Necklace measures 24"L and can be easily cut to a shorter size. Heart charm measures .75". Anatomical Heart Necklace measures 24.75"L.